Please use this listing to check out a font customization service for your guest book or journal order. Please only purchase if you have discussed with us the nature of your font customization request ahead of time via Etsy conversations. This change fee is due to customize the fonts on your guest book or journal. Options will be limited to the fonts we have licensed in our collection for use on our items. **For FOIL PRINTED books and journals: options will be limited to the fonts you see in our FOIL section only. 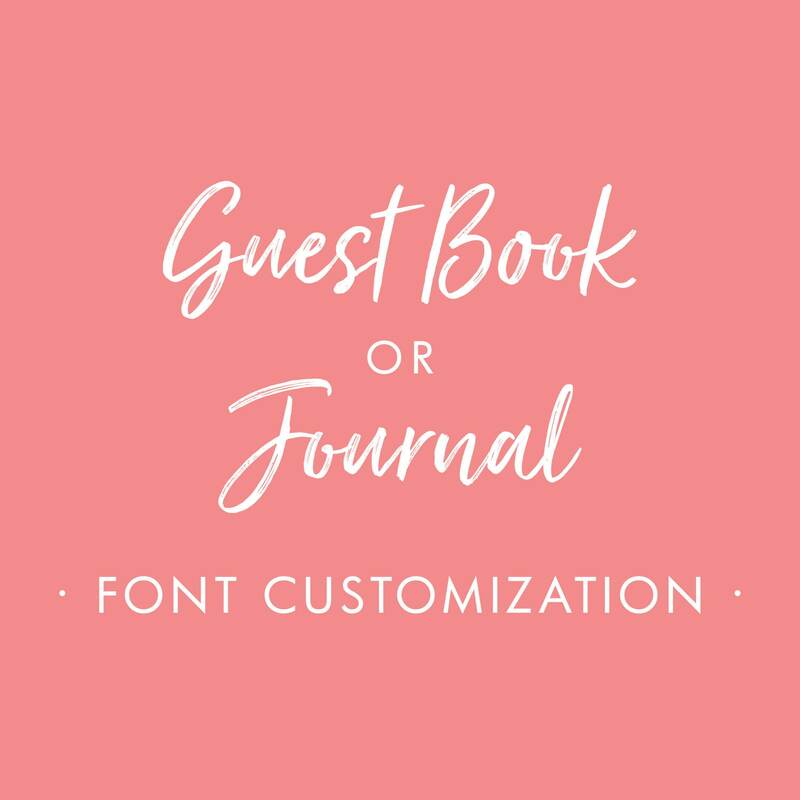 ** We are not able to foil print all of the fonts that are located in our main guest book or journal sections. This font customization service will be within your total allotment of proofs available with your original book or journal purchase (generally, one initial proof and 2 revisions are included in the purchase price, regardless of font customizations). Additional proofs beyond the 3 included proofs will be billed at an additional cost to you.